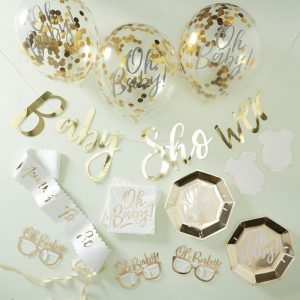 Throwing a baby shower has never been easier with our Party In A Box. The white & gold foiled design will be loved by all your guests and they will be wowed by the beautiful matching pieces that catch the light with our gold foiled detailing. With everything you need it really is effortless party glamour all in one box! 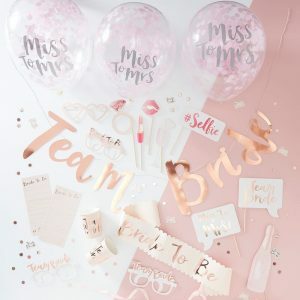 Throwing a hen party has never been easier with our Hen Party In A Box. 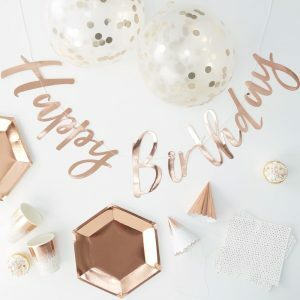 The rose gold foiled design will be loved by all the hens and they will be wowed by the beautiful matching pieces that catch the light with our rose gold foiled detailing. With everything you need it really is effortless party glamour all in one box! 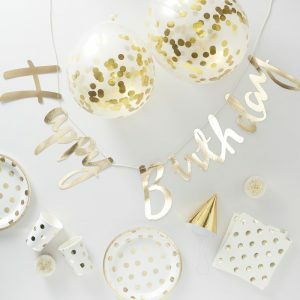 Grab a box to decorate your party all in one! 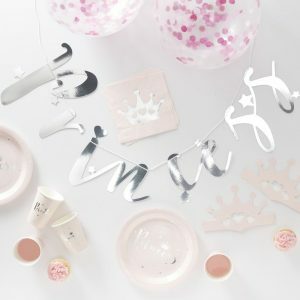 The rose gold foiled design comes with rose gold foiled cups, fun glasses, advice cards, confetti balloons, photobooth props, bride to be sash, confetti &Team Bride bunting. Celebrating could not be easier! Enjoy!